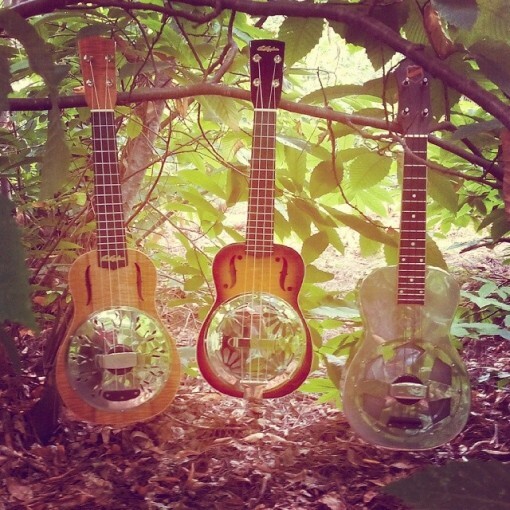 I’ve just finish a video where I’m doing something very very special… I am juggling with three resonators ukuleles… my two Fine Resophonic Ukuleles and à 1927 National String Instruments Co Ukulele. I know that I have done this performance for the very first tim on earth… I am very proud… Those ukuleles are quite expensives because they are treasures. I have try to speak english during the video, my english is not very good… I hope you will understand my language !